Okay is a very common work used in any language, English or Hindi. Whenever you want to say YES, we always say OKAY. 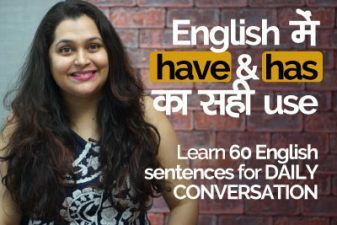 In this English practice lesson in Hindi you will learn 10 new ways to say Okay, so that you sound fluent in English. Learning English phrases is the best way to speak English faster, it’s the easy way rather than learning grammar rules and getting confused and making more mistakes in English. This way you would speak English faster and become fluent in English. If you learn 1000 English speaking sentences, I bet you, your spoken English would improve easily and quickly. 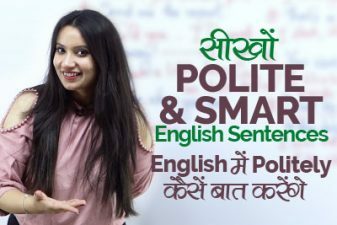 You are watching this spoken English lesson on Learnex, your YouTube channel to Learn English in Hindi, we have lesson covering English conversation, Complex Grammar rules, English idioms, Tips on how to speak English faster, How to improve English speaking, IELTS, Vocabulary and much more, so Subscribe to our channel and stay tuned. Next Next post: Learn Smart & Short English Phrases with ‘TIME’.